As I trawled through my photos of sunsets, mountains, gardens, trees and sea to find one that would best depict the inspiration I derive from nature’s beauty, I came across this one. This is my chair that I knew I had to have the second I laid eyes on it and then sat in it. It now sits in our lovely study, looking out to the trees outside. It is here that I receive inspiration as I sit in stillness and peace. 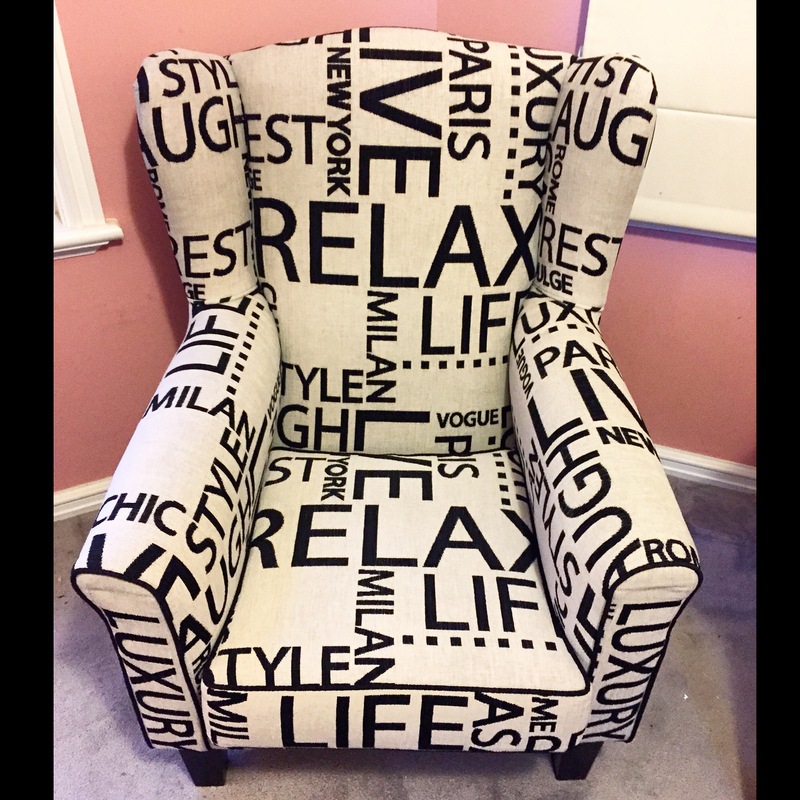 I love the words on the chair – LIVE, LIFE, LAUGH, RELAX – how could one not feel happy in this chair. I love that it mentions my two favourite cities in the world – PARIS and ROME – I can return to these cities by simply closing my eyes. The chair enfolds me with its wingback, and it is oh so comfy, made for someone like me with short legs. It’s a little bit of luxury in an often chaotic house – how could one fail to be inspired when resting a moment within its arms. Scientist, mother, survivor of childhood cancer, diagnosed in 2013 with breast cancer. Lover of life. This entry was posted in gratitude, hope, inspiration, joy, life, mindfulness, Paris, postaday, relaxation, respite, rest, stillness, Weekly Photo Challenge and tagged joy, laugh, life, live, love, mindfulness, peace, postaday, relax, weekly photo challenge. Bookmark the permalink. What a lovely inspiring chair you have there! The messages are very inspiring that keeps you positive with whatever you have just by staring at it. I wish I could see a chair like that too! Thanks for sharing!